The global proteomics market is anticipated to gain traction due to rising awareness for personalised medicines, and rising demand for drug discovery with the help of Proteomics. Proteomics is defined as branch that studies the proteomes at large scale. Proteins play an important role in any living organisms, with many functions. This term was firstly coined in 1997. Majorly, proteome is the set of proteins produced in an organism, system, or biological context. These are not constantly found in the similar form, instead they keep on changing with the body need. Proteomics is the combination of proteins and genomes which are entire set of proteins that are produced by organism’s systems. Proteomics has wide variety of roles and dynamics in a cell. Hence, for understanding variety of role this market is majorly driven by the increasing continuous research and developments. Extensive application in drug discovery, diagnostic services and many other ongoing research areas, and increased necessity for early diagnosis of various chronic disease will support the growth of global proteomics market. The global proteomics market is primarily driven by the factors such as increasing number of chronic disease and rising demand for the early diagnosis of these diseases. In addition, increased need for personalised medicine, increased R&D expenditure for various technological advancements to also propel the growth of proteomics market during the forecast period. Similarly, rising funding on various proteomics projects by the local governments to also influence the market growth in the near future. Proteomics in the recent past has become a powerful tool in treating diseases like obesity, diabetes, fatty liver, and deadly cancers. Furthermore, well established organisations like Human Proteome Organisation also helps the market propel with the help of various trainings and innovation of various technologies. Additionally, supporting governments regulations & policies for research and development of in proteomics would also create positive impact on the entire proteomics market. However, some factor that hinders the growth of the particular market are lack of appropriate regulations, reduced funds in the key markets like the U.S. Moreover, high cost of tools and equipment’s used, and reduced number of skilled labours in the developing countries would also hinder the proteomics market during the forecast period. The global proteomics market is segmented on the basis of technology type, product type, application type, and geography. Clinical Diagnosis is the fastest growing application in the proteomics market.  The clinical diagnosis market holds the major market share owning to the factors such as continuous increase in research & development for biomarker discovery, and increased personalised medicine. Moreover, the technology advancements, and increasing awareness for the use of effective diagnosis technique to also spur the clinical diagnosis market during the forecast period. Geographically, the global proteomics market is categorized into North America, Europe, Asia Pacific, Latin America, and Middle East & Africa. Presence of favorable government initiatives and increased adoption of personalized medicines to lead the global proteomics market in North America. Geographically, the global proteomics market to be segmented as North America, Europe, Asia Pacific, Latin America & Middle East and Africa. North America is expected to dominate the global proteomics market over the forecast period. North America holds major share owning to the ongoing clinical trials by the increasing R&D investments by the government. While, increasing awareness for the use of personalized medicines would also spur the global proteomics market of North America. However, Asia Pacific is expected to grow rapidly during the forecast period. Increasing number of patients suffering from various chronic disorders like cancer, obesity, and diabetes, changing lifestyle & related preferences, and increased awareness for the use of personalized medicines to boost proteomics market in Asia Pacific during upcoming years.